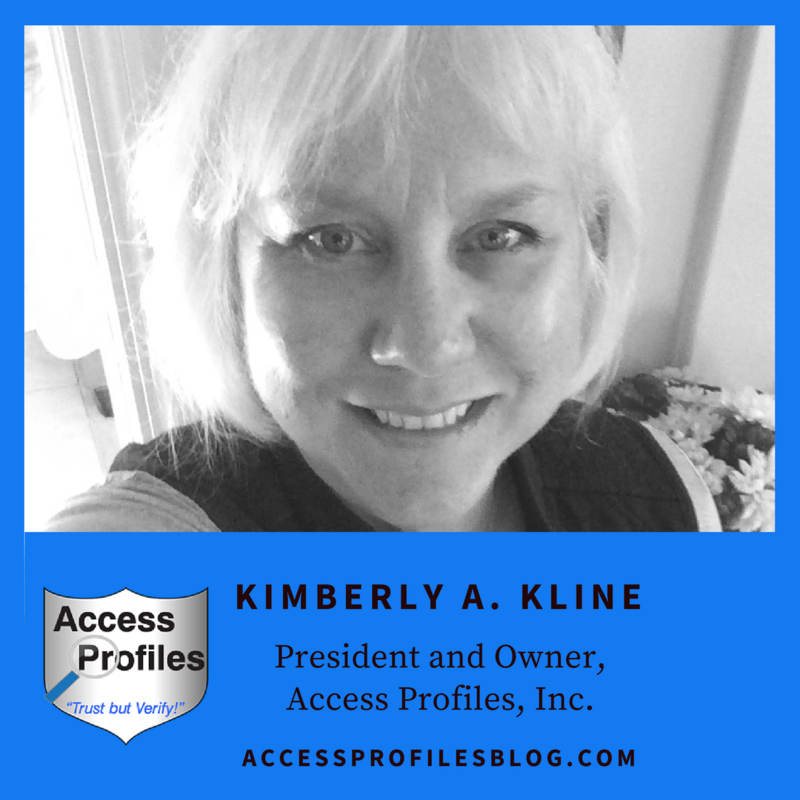 Access Profiles, Inc.: Become that “Go To” Person and Help Your Business Succeed! 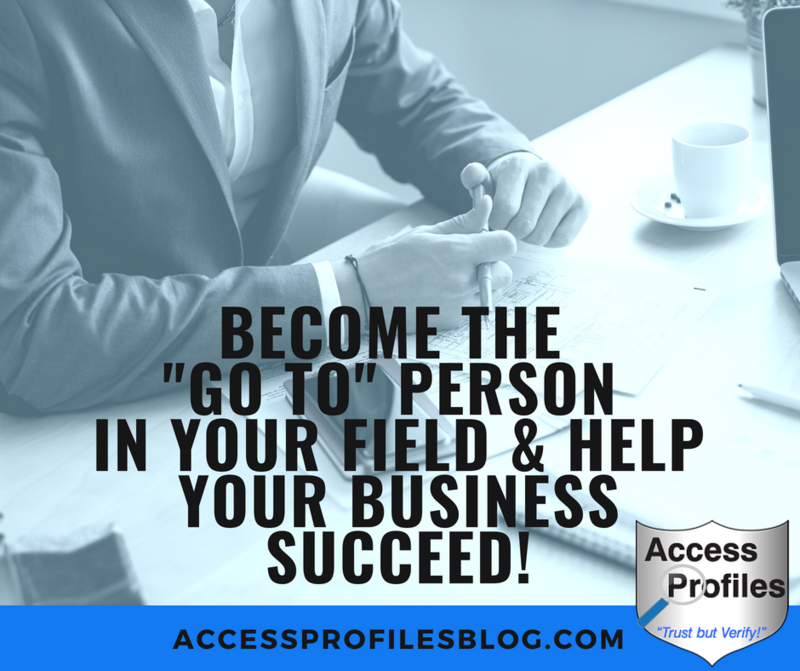 Become that “Go To” Person and Help Your Business Succeed! Finding ways to set your company apart from the competition makes you memorable. Unless your business is completely unique, you will have to deal with the reality of competition. Other companies are bound to offer products or services very much like your own. The question then becomes, How Can You Set Yourself Apart from the Crowd? Become that “Go To” Person! You need to establish yourself as “the” person that comes to mind when others need a specific problem solved or help in reaching the next step. When you accomplish that, you are now a “Go To” Person! We have found 6 ways to help set our business apart from even our biggest competitors ~ and they can help you too. Establish Yourself as Someone who will Listen. Really talk with your clients. Ask them questions and then use what you learn to help them find a solution to their problems and concerns. Practice this and they will come back time after time. Be Available and Provide Stellar Service. In our business, we make sure we are available. We are there not only for routine projects but also for rush jobs others may not want to take. We always focus on doing exactly, or even more, than what we say we are going to do. Focus on service does not go unnoticed. Show Your Customers that You truly Care about Them and Their Businesses. Make sure they know through your actions, not just your words, that you are not just in it for yourself. Put them first and you cannot fail. Work Harder and More Passionately than Your Competition. Pride yourself on exceeding your client’s expectations. You will be rewarded for it. Don’t be all Business. Show a little of your personal side to your clients. Let them know what makes you tick. We have found the best way to do this is through our blog. By reading our articles they know what API is all about and where we are coming from. Revealing a little "About You" adds depth to your character and helps your customers get to know you. 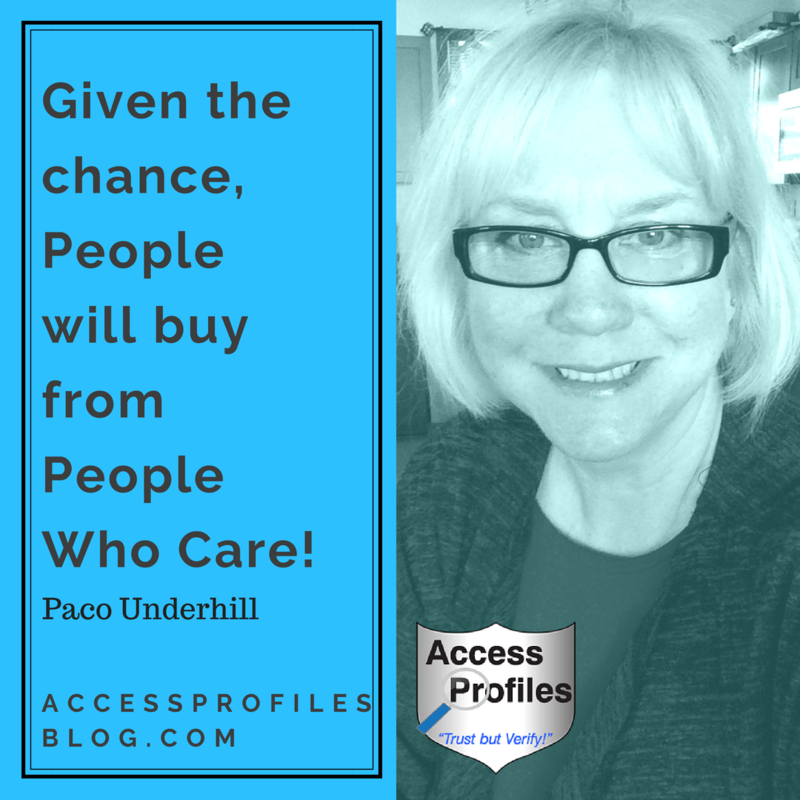 “Given the chance people will buy from people who care.”~ Paco Underhill. Be Known for Something. Find that thing that is uniquely yours. Pick something important and do that better than anyone else. This is called finding your “niche”. Our focus is being a friend to Small Business. We have proven time and again that we realize their needs and will work with them, providing the quality they deserve. They know we care. No matter what you choose to do, being a “Go To” Person will help you achieve your own success. You will also gain great satisfaction in knowing you have achieved your goal to set yourself apart from the norm. Are You a "Go To" Person in Your Field? Share your tips that helped get you there! Be sure to visit our website for more ways to help your business lead the pack. We also invite you to subscribe so you won’t miss our latest new article (and we promise no spam! ).